Actor Johnny Depp is set to be the star of the show when Fantastic Beasts: The Crimes of Grindelwald releases in theaters next month. 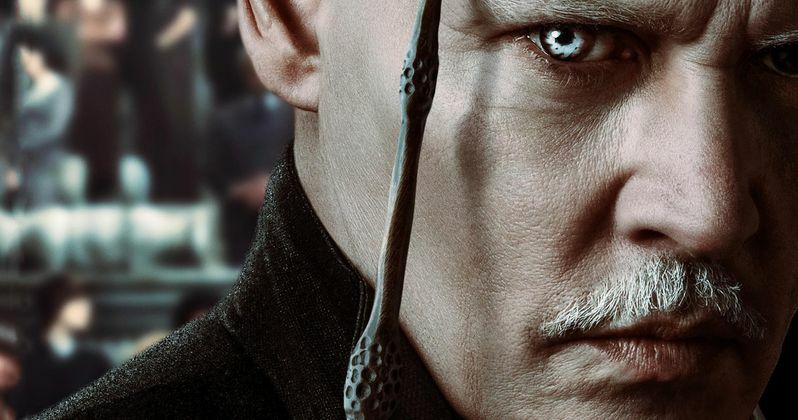 While most fans already assumed that Depp would return to the role in the next sequel, the actor has now confirmed that Grindelwald will indeed be coming back for Fantastic Beasts 3. In an interview with Collider, the Pirates of the Caribbean actor discussed how much he loved working in the first two Fantastic Beasts movies, and expressed his excitement for the third movie, which apparently may shoot in summer 2019. Here is Depp's full comment from the interview. "I loved it because that's really an arena where you can fly around and try different things and approach a character with a lot more...um...to take someone who is teetering on being a fascist, yeah he's a fascist, he's one of those, but to play him as a sensitive, concerned yet manipulative and powerful wizard. The possibilities in that world are wide open, so you can really try anything. So it was a gas and I look forward to the next installment, which I think we start the middle of next year." This news that Depp will be returning in the next movie shouldn't come as too big of a surprise to Harry Potter fans who read the books, as Grindelwald actually played a major role in the wizarding lore in The Deathly Hallows. In fact, an elderly Grindelwald briefly appeared in the movie Harry Potter and the Deathly Hallows, proving that we will not see this dark wizard bite the dust in any of the Fantastic Beasts movies. We definitely don't want to spoil anything major, but based on what we know from the books, there will be much more to Grindelwald's story beyond The Crimes of Grindelwald. Johnny Depp was actually in love with the idea of playing Grindelwald right from the beginning, and even discussed the casting process in his Collider interview. Here's what he had to say on the matter. "It was amazing. It came out of nowhere. Someone said J.K. Rowling would like to talk to me. I spoke to a few producers and the director and to J.K. and had long conversations basically about the Grindelwald character. J.K. said something I did not expect to hear because obviously her detail to her characters and those wizarding worlds is astonishing. The fact that she said, "I can't wait to see what you do with the character." Just to hand it off to me with that degree of trust, I was really touched, blown away by that. So I jumped into locating the character and I had my ideas. I came in and it all seemed to work out. Grindelwald is an interesting character. His intentions in his mind are for the greater good, but there have been other people in world politics and such who felt the same way. He's very dedicated to his beliefs. He's not a fun character; he's not funny." Based on Johnny Depp's comments to Collider, it's safe to say that The Crimes of Grindelwald will be just the beginning of Grindelwald's intriguing story in the Fantastic Beasts franchise. You can see Johnny Depp return as this magical villain when Fantastic Beasts: The Crimes of Grindelwald hits theaters on November 16th.